Procrastinations give rise to suspicions regarding all kinds of manipulations and doctoring. Director of the Center for Democracy and the rule of law, co-founder of the movement "Honestly" Taras Shevchenko called on the Supreme Qualification Commission of Judges (VKSCU) to disclose the list of candidates for the Supreme Court. 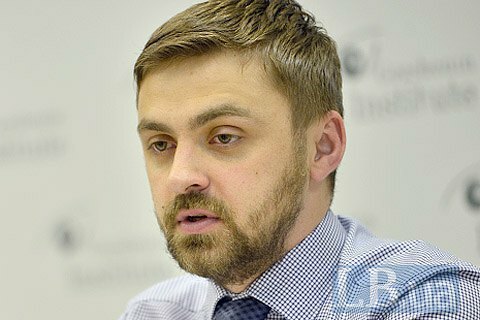 Speaking at a 31 May round table conference at Gorshenin Institute organized jointly with the Reanimation Package of Reforms think tank, Shevchenko stated the belief the VKSCU should as soon as possible publish the contest scores of candidates to save the fading public trust in the contest. "Unfortunately, procrastinations give rise to suspicions regarding all kinds of manipulations and doctoring of the ranking and scores of candidates," Shevchenko said. He also stated concerns of the expert community that the VKSCU ignores conclusions of the Public Council of Integrity. "Our prime concern is that the conclusions of the Integrity Council conclusions were largely not taken into account at the first stage and will be overridden by veto and the vote. This voting will be secret, which would be OK if there is confidence in the authority. However, in the situation where there is virtually no trust to any member of the High Qualification Commission, transparency is crucial as it increases personal responsibility of every person who votes," Shevchenko said. In the Supreme Court job contest, 27 candidates dropped out after the interview, while the future of another 115 candidates, who have received the disapproval by the Public Council of Integrity, will be considered at plenary sessions.